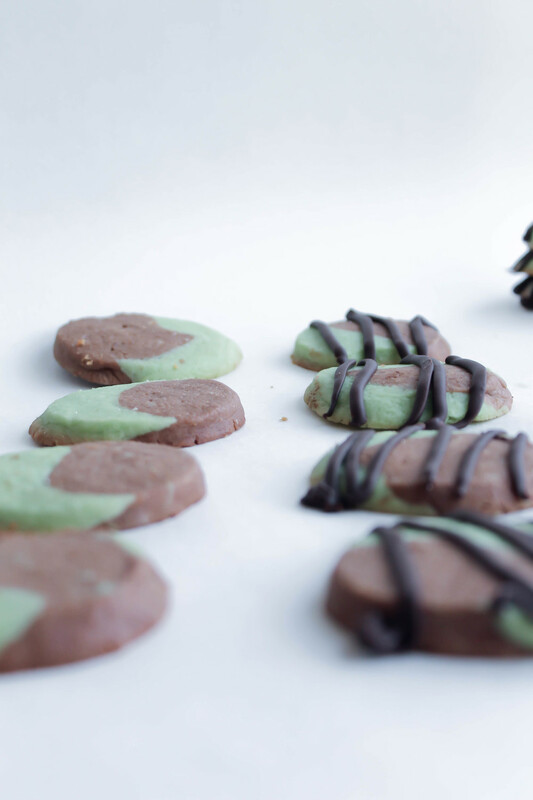 These chocolate mint thins are completely new to me, but they turned out to be one of my favorite cookies looks-wise! Aren't they so cute? They're really simple to make and they smell delicious! I followed this recipe, but with a couple small changes. In bowl of a stand mixer, beat butter on medium to high speed for 30 seconds. Add sugar. Beat until combined, scraping bowl occasionally. Beat in egg and vanilla until combined. Beat in the flour with the mixer. Divide dough in half. Add cocoa powder to one of the dough portion; stir until combined. 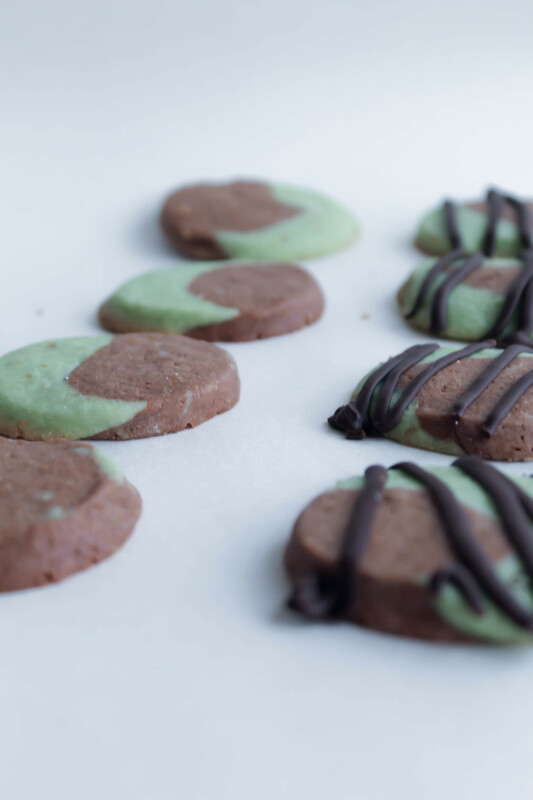 Add mint extract and a few drops of green food coloring to the remaining dough portion; stir until combined. 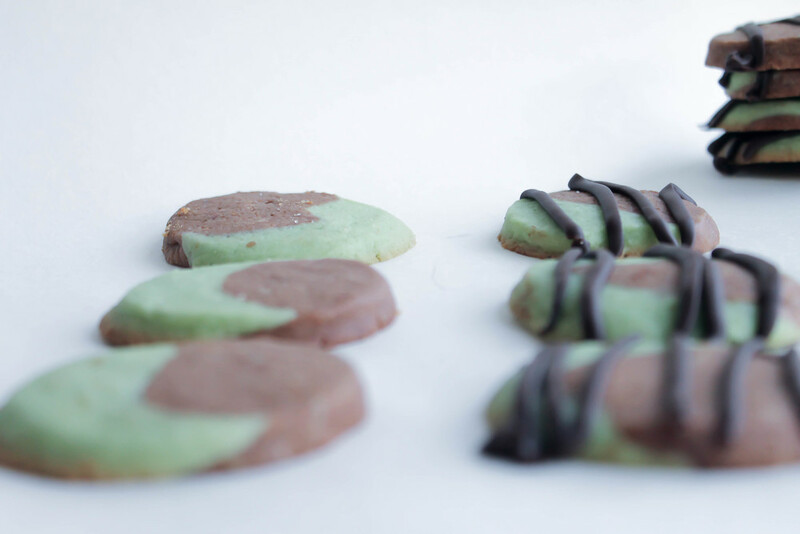 Divide each portion in half (two chocolate dough portions and two mint dough portions). Shape each dough portion into a 9-inch rope. 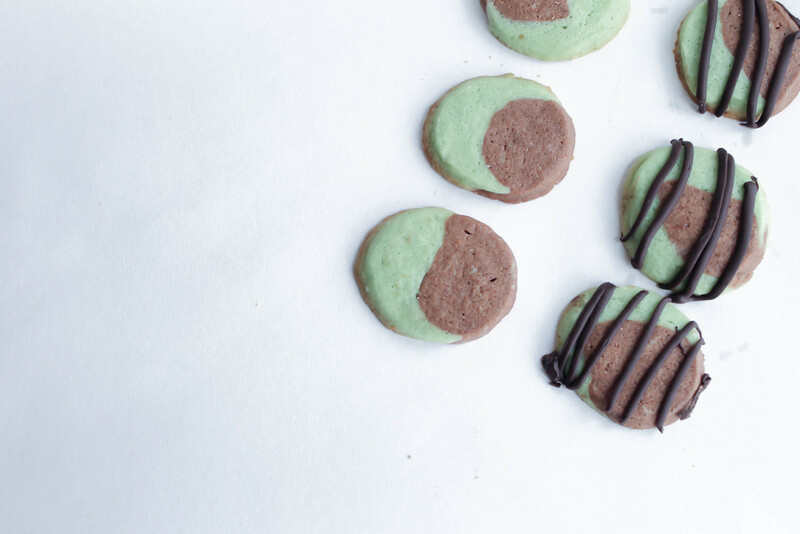 Loosely twist one chocolate dough rope and one mint dough rope together. Gently roll together to shape into a 9-inch roll; repeat (you will have two 9-inch rolls). Wrap each roll in plastic wrap or waxed paper. Chill about 1 hour or until dough is firm enough to slice. Preheat oven to 350 degrees. Cut rolls into 1/4-inch slices. Place slices 2 inches apart on ungreased cookie sheets. Bake for 8 to 10 minutes or until edges are firm. Transfer to a wire rack; cool completely. If desired, melt chocolate in a double boiler (I just use a metal bowl placed about a saucepan filled with simmering water). 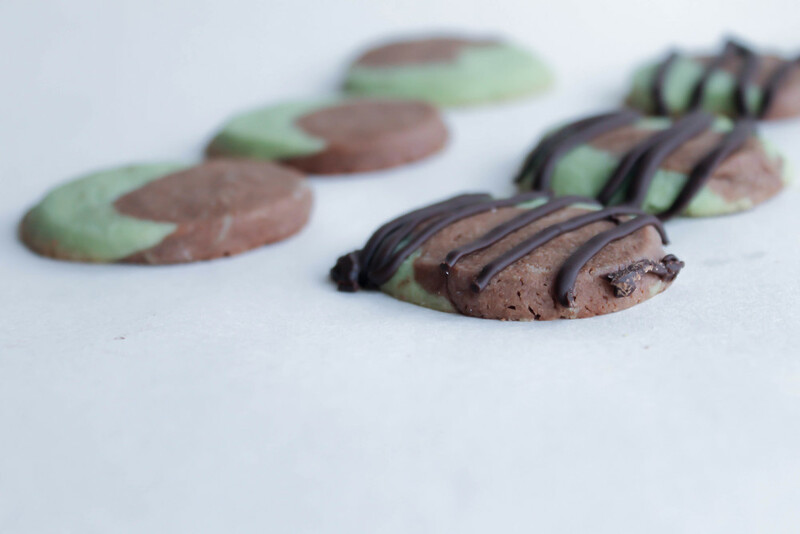 Drizzle melted chocolate over cookies. Let stand until chocolate is set.